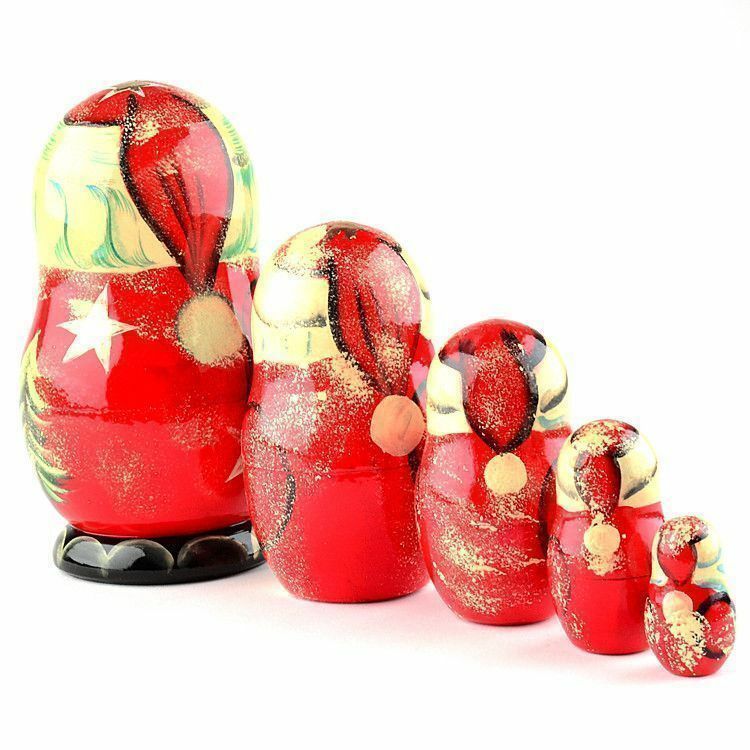 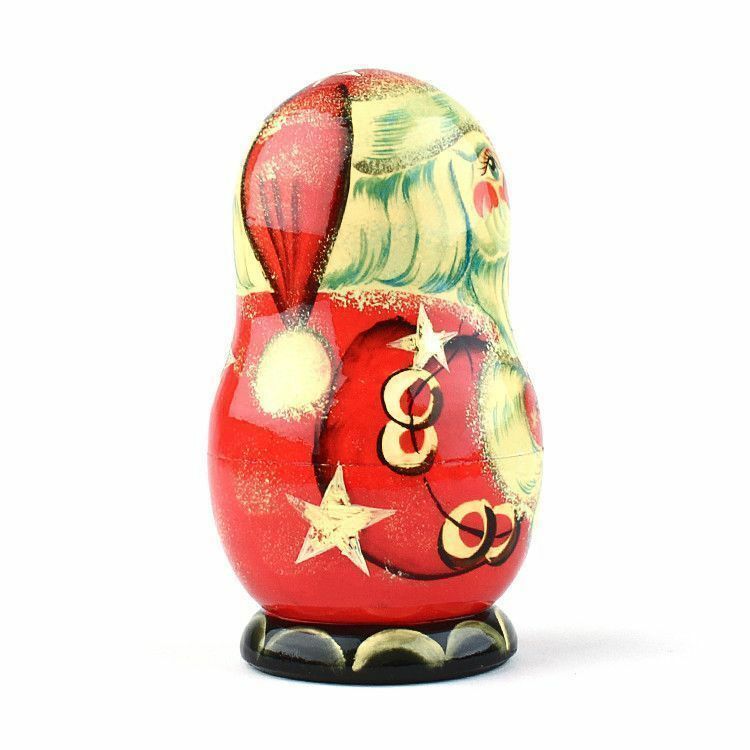 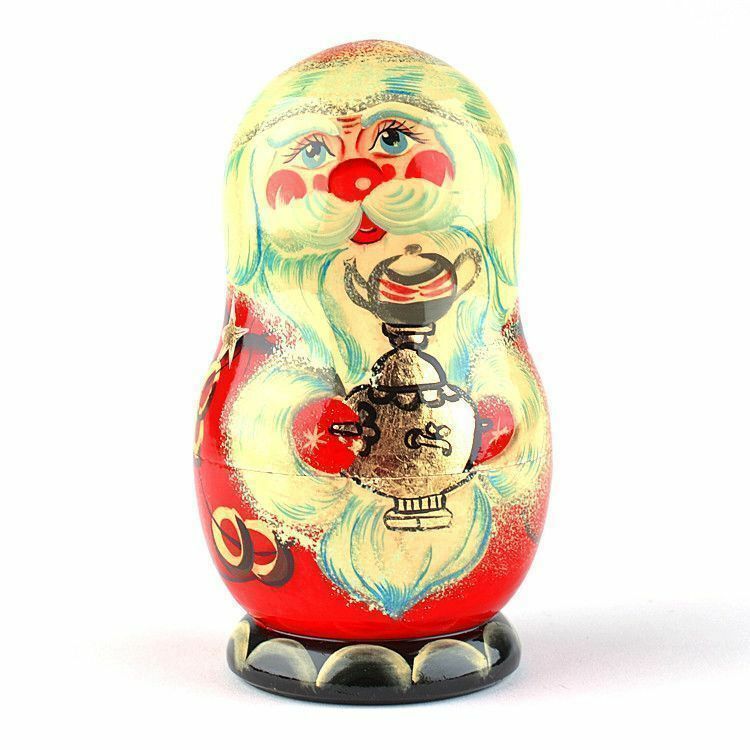 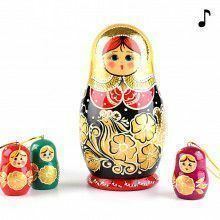 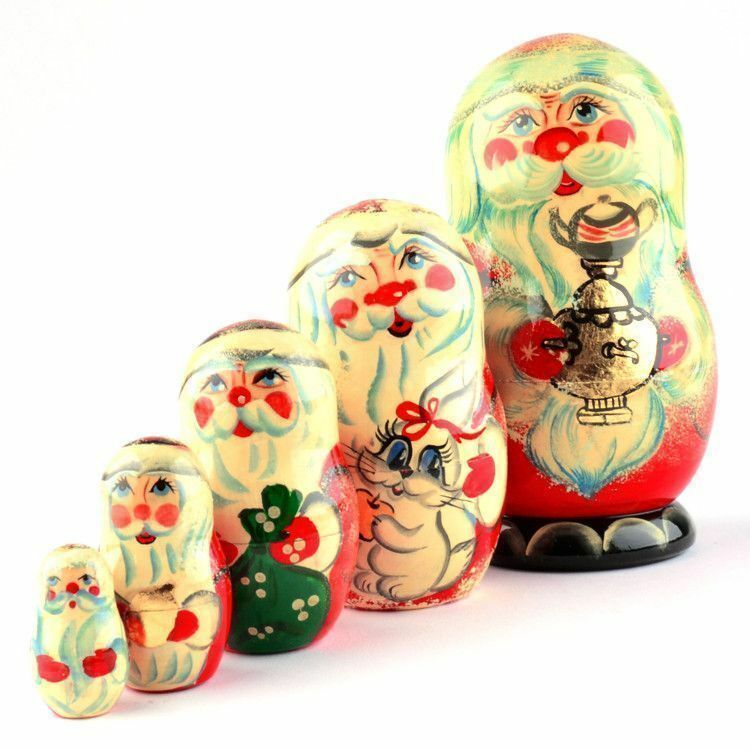 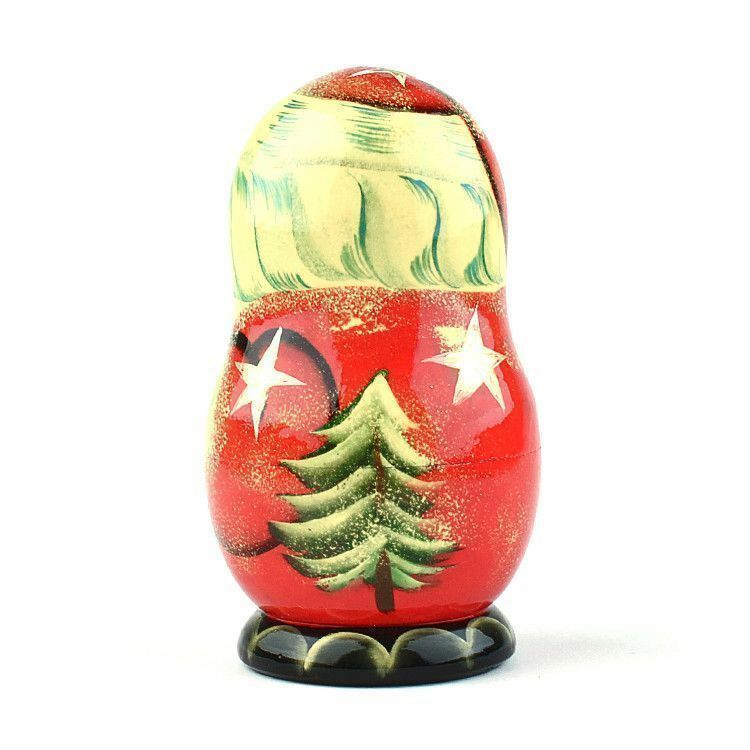 This authentic nesting doll features a gloss finish and a cute Santa holding a samovar illustration. 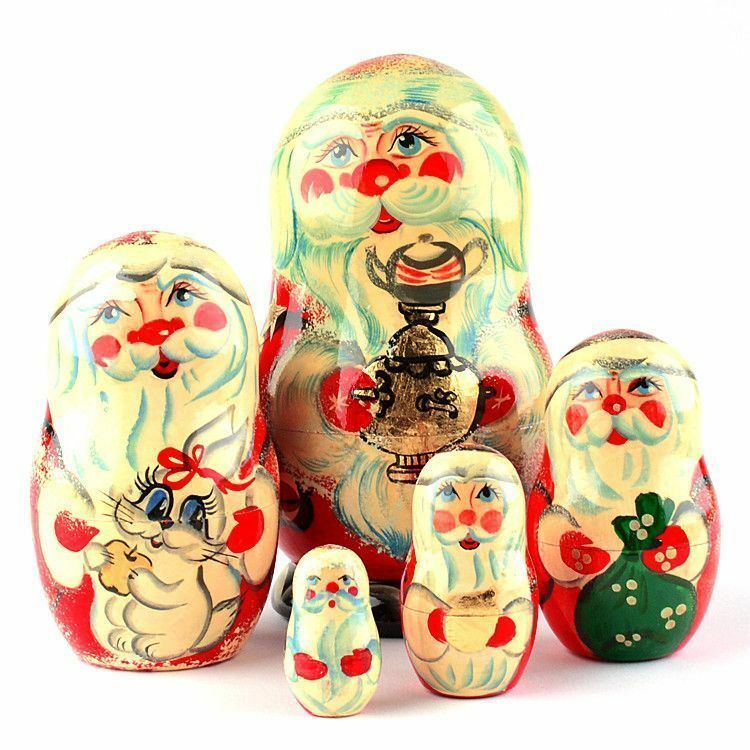 Open it up to reveal a set of smaller Santa dolls inside. 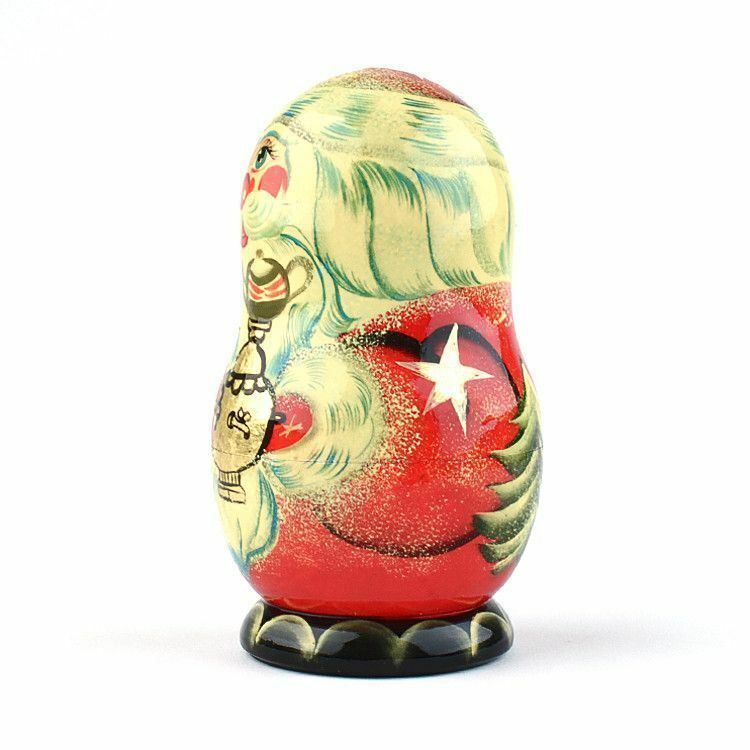 Makes a unique gift idea or collectible accent for any home for Christmas.